Here at Campbells Prime Meat Ltd, we pride ourselves on supplying our customers with beef steak of the highest quality. We stock a vast selection of different cuts for you to choose from. 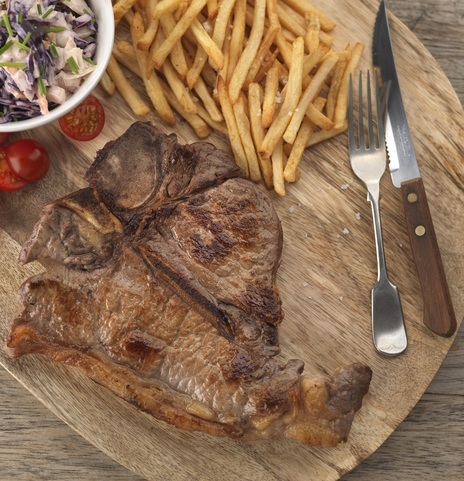 Our range of first-rate steak includes Sirloin Steak, Rump Steak, Rib Eye Steak, T-bone steak and fillet steak. Steak is one of the nation’s favourite dishes. After all, we have all argued over whether a steak should be cooked rare, medium or well done. But one thing we can all agree on is that using a top-quality beef steak is what matters most. That is why Campbells online butchers provide the finest beef steaks available. 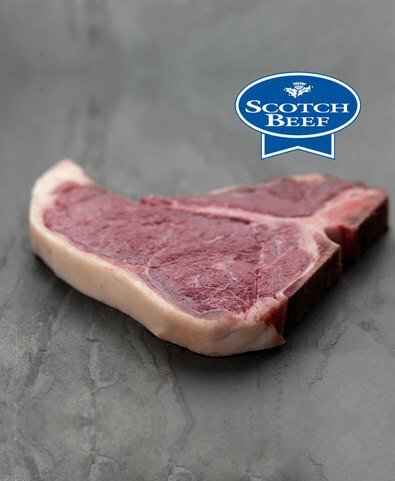 Every beef steak order is prepared by hand by our own traditional butchers from the best, properly hung prime Scotch beef. You'll find all sorts of beef steak products at Campbells. We also stock a range of beef olives and beef medallions. So there are no limits to the number of dishes you can make. There are endless options for cooking beef steaks, so why not have a little fun and experiment? Try marinating it in a honey sauce and grilling it. Spice things up by preparing a chilli and garlic and pan frying it. During the summer months, crack open the barbecue and some piri-piri sauce to enjoy your steak. You really are spoilt for ways to cook. Browse and buy our mouth-watering range of beef steak from the comfort of your own home. Every order we receive is prepared here on our Linlithgow premises by our expert butchers on the day of dispatch. At Campbells Prime Meat, we guarantee that your order is delivered to your door 100% fresh. Our meat is never frozen. We offer free delivery on orders over £50 to make it easier for those who wish to order in bulk.